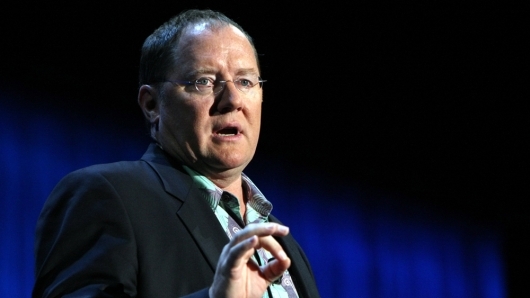 There has been a major backlash to former Disney•Pixar and Walt Disney Studios Animation head John Lasseter being hired to oversee Skydance Animation. Many have expressed their outrage saying that he has shown little to no remorse about his past indiscretions, which include multiple allegations of sexual assault. So in order to curb any anxieties or distress his presence may have, the studio held a town hall where Lasseter fielded blunt questions about his previous “missteps,” admitting to the wrongdoing, and committing himself to prove he has reformed. More on the report, below. The town hall was covered on multiple fronts with Variety, THR, and Deadline all providing coverage. According to Deadline, Lasseter delivered a full apology and expressed how deeply sorry and ashamed he was for his prior actions, which he admitted were unquestionably wrong. Additionally, he spoke about his deep regret about making women feel unsafe and disrespected. Following the apology, Lasseter took blunt questions, many from female employees, about his indiscretions and missteps. These missteps led to a six-month sabbatical from both Disney•Pixar and Walt Disney Animation Studios, and eventually an exit from both animations studios which he helped shape to become the successes that they are now. According to Variety, when the town hall concluded it wasn’t clear if Lasseter was specific enough in regard to the lessons he’s learned and what he planned to do to earn back trust. Indeed, many believe that not enough time has passed for Lasseter to be hired in high-powered position as the head of a major animation studio. It is difficult to determine how much time should be served, the disgraced animation head has shown little to no remorse since his sabbatical and subsequent exit. While the town hall was meant to be used as a means to address employee’s concerns, the backlash to Lasseter’s hiring continues to have a ripple effect in the animation community. Skydance has had a deal with Paramount Pictures since 2009, and according to THR, chief of Paramount Animation Mireille Soria reassured her team that they will not be working with Skydance Animation. She had already been advising and providing creative notes to Skydance Animation on one of their first two projects, Luck, an animated comedy set for a 2021 release. However, that will no longer be happening in the wake of Lasseter’s hiring. The report adds that Soria was “furious” when she learned of Lasseter’s hiring. Sources also tell THR that Soria has promised to keep Paramount Animation a safe workspace so her team is comfortable, and that her staff shouldn’t feel obligated to work with Lasseter should he request input from them. Her pledge follows a statement issued by the #TimesUp movement that calls Lasseter’s hiring into question.